Product prices and availability are accurate as of 2019-04-23 03:35:46 EDT and are subject to change. Any price and availability information displayed on http://www.amazon.com/ at the time of purchase will apply to the purchase of this product. Heavy yields of 4-1/2" long by 3-1/2" wide sweet bell peppers. 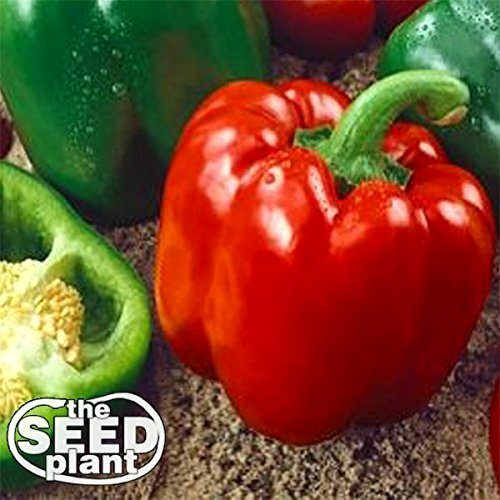 Peppers have thick walls and turn from green to red when mature. A perfect stuffing pepper. Suitable for home garden and market growers. Heavy foliage reduces susceptibility to sun-scald Thick stems are breakage-resistant under heavy fruit load.